It looks like Penn Zero is retiring. It’s been announced that the Disney XD series Penn Zero: Part-Time Hero has been cancelled after two seasons. 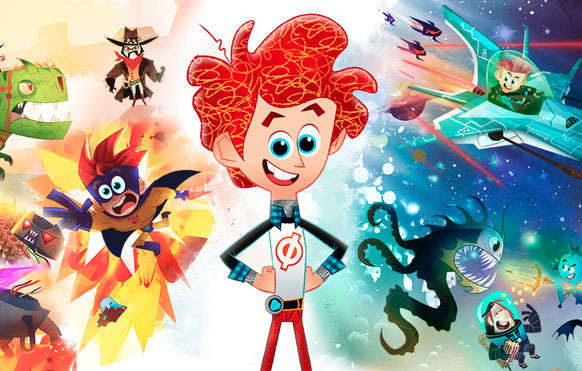 Created by Sam Levine and Jared Bush, the animated series follows Penn Zero, a young boy who takes up his parents’ job as a part-time superhero. The voice cast includes Thomas Middleditch, Adam DeVine, Alfred Molina, Tania Gunadi, and Larry Wilmore. I’m making this announcement to let you know that the second season of Penn Zero: Part-Time Hero will be the final season of the series. What do you think? Are you a fan of Penn Zero: Part-Time Hero? Are you sad it’s ending? More about: Disney XD TV shows: canceled or renewed?, Penn Zero: Part-Time Hero, Penn Zero: Part-Time Hero: canceled or renewed? If you not continuing the series I will cry A LOT!!!!! Why would leave it like that with still more mysteries not being answered? Did they really have to wait to the final episode to start a relation ship between sushi and penn??? Pls we need season three! Penn Zero needs a season 3 that ending, I want more like what happened to Sashi and Penn or like what missions do then go on and also what is phase two we need to know.